Escape Rooms – What’s all the fuss about? I really do think Escape Rooms are the next big thing in family entertainment. It’s not enough to ride attractions anymore- people are looking for immersive environments that require them to be active players. In Harry Potter World, we have wands that let you cast spells around the park, and I’ve heard the new Star Wars area at Disneyland is also going to be very immersive. People are getting out and playing Pokémon Go in their environment, and virtual reality glasses are becoming a thing. Escape rooms are falling right in line, and are offering a unique experience that requires guests to be the main players in the show. An escape room is a puzzle room. Each room has a theme and a problem to solve, and it’s your job to solve it within an hour. In the rooms we’ve played; we’ve stopped a nuclear bomb from being launched in Cold War Bunker, broken into a lab to find an antidote in Sector 13, attempted to escape during a prison riot, and found the treasured Crimson Heart pirate jewel in Crimson Storm. Each room has a series of puzzles that you are required to complete. When you arrive at the room, your Game Host will go over the rules and give you your mission. After that, she will bring you into the room where the countdown will begin. The better rooms will have a wide variety of clues that are themed and interactive, with a few exciting high tech clues involved. We’ve been to a few rooms where the theming has left a lot to be desired, and we’ve been to a few where we felt like we were right there in a cold laboratory, racing to find the zombie cure before zombies took over the world! It’s important to do a little research and make sure the room is a great one. The rooms are timed with an hour to escape (they aren’t really locked and you can leave at any time). They have a game host watching, so if you need help, you can ask for a hint. They are such a great experience, and I strongly suggest going out for coffee or drinks afterwards, because chances are you will have a lot to talk about once the room is done! Are you actually trapped in the room? No, you are never be locked in a room. You can leave at any time and the person running the room will go over the exits before the room starts. Do you have to be good at puzzles? I think it’s more important to have a good team. A lot of puzzles I’ve encountered are hands on and require multiple people to solve. For example, a few times we’ve experienced puzzles that have had one person in one room directing a person in a second room, with a third person passing items back and forth between them. I’m personally not very fast with solving puzzles, but I am great at finding the next puzzle that needs to be solved. Is it scary and do people jump out at you? The cool thing about escape rooms is that the rooms are all very different. Some are “scary” and others are not scary at all. When you are looking for a room, make sure you do a little research and find a theme with the experience you are looking for. 60out has a room I’ve been wanting to try called the Zen Room, where you work together to fill a white room with color. On the other side of the spectrum, you’ll find rooms like The Basement that are known to be thrillers. If we don’t get through the room, does it feel like a waste of time? One of our favorite escape rooms that we always talk about, is Prison Break- a room we never solved. Sure, we were sad that we didn’t “get out”, but it was such a great experience that it’s listed as one of our top 3 rooms. On the other hand, we’ve had rooms that were easy and we wouldn’t consider them our favorites. If you are looking for a great room, look for one that offers a great experience and theming. I’d suggest reading the Yelp reviews or checking out reviews on Escape Authority. Look for a room with great theming and production quality. I’ve listed some great Escape Room companies below. Ask about the escape percentage. If you’re going for the first time, you might want to find a room that is easier while you figure out how the rooms work. 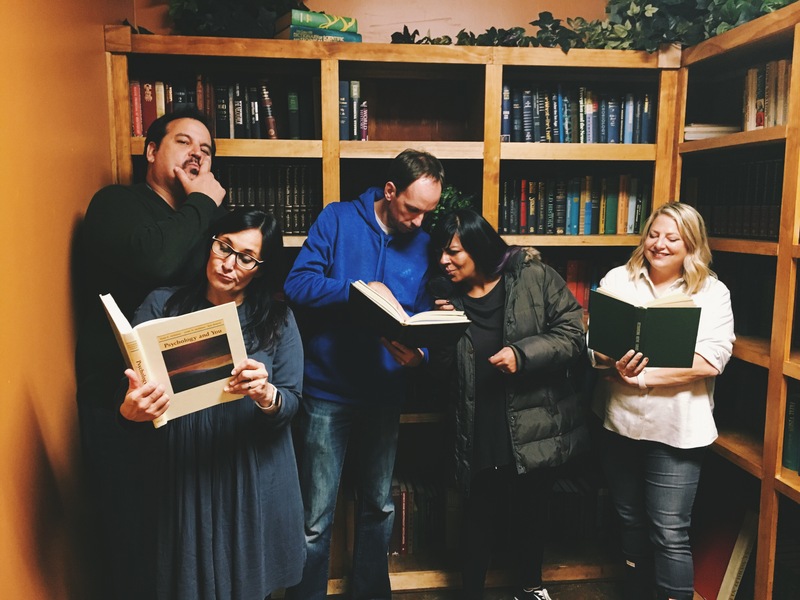 The hardest part about your first escape room is not knowing what to expect! Don’t be afraid to ask for hints! If you’re stuck on a puzzle or not sure what to do for ten minutes, it’s time to ask for help. Don’t feel bad if you ask for help at the start. Sometimes the hardest thing about room is figuring out where to begin. Once you get started, you find a clear path. Leave keys in locks. If you use a key, make sure to keep it in the lock so you don’t get confused. Put the items you’ve used in one place. That way you aren’t getting confused about what has been used and what hasn’t. Have a team leader! Put someone in charge of keeping the group on task. 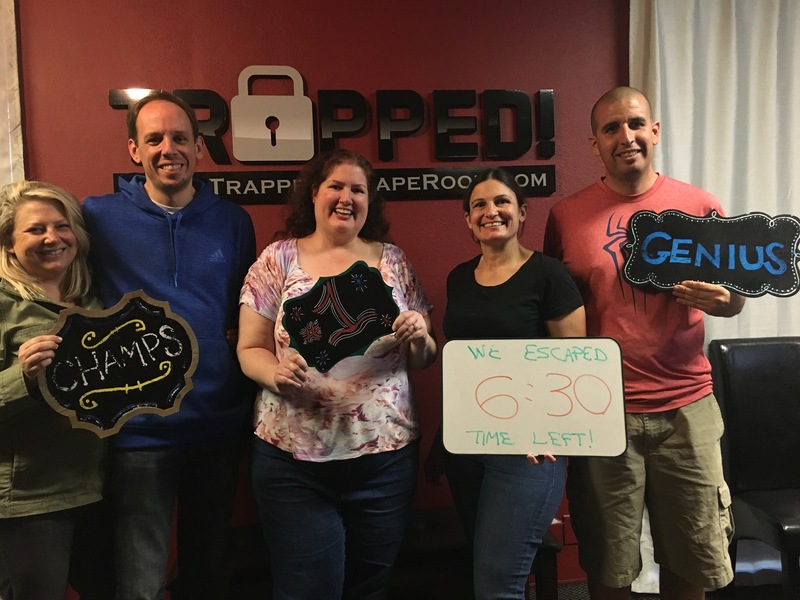 Trapped: Sector 13 and Puzzlemaster (Usually I recommend 6 people for a room, but Trapped! has a lot to it, so you would be fine bringing more). Good luck! If you give it a try, I hope you Escape! Love this!! I just want to do MORE AND MORE!!!! My son mentioned that he wants to have his birthday party at an escape room, and I wanted to learn more about this activity. It is good to know that each room has a series of puzzles that you are required to complete. I am glad to learn that your game host will go over rules and give you your mission once you arrive. I think I will surprise my son and follow through with his request, thanks for the information.